Looking for gift ideas for your favorite cannabis connoisseur? Wow them with an inspired surprise, from a luxury pipe to a high-end storage solution. Meet Aurelia, Gilda, Xanthe, and Zarina, Miwak Jr.’s new glitzy “Golden Girls” collection of perfect palm-sized pipes with 22k gold hand-painted accents. With an aesthetic inspired by “pre-Colombian cultures and Space Age wonder” Miwak Jr. is the brainchild of artist duo Alice and Sebastian Boher. 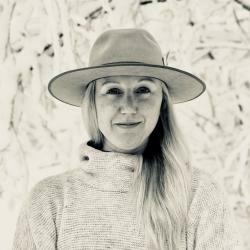 The couple crafts the line of ceramic pebbles in their Echo Park, Los Angeles studio and each piece is made to order, so allow four weeks for delivery. 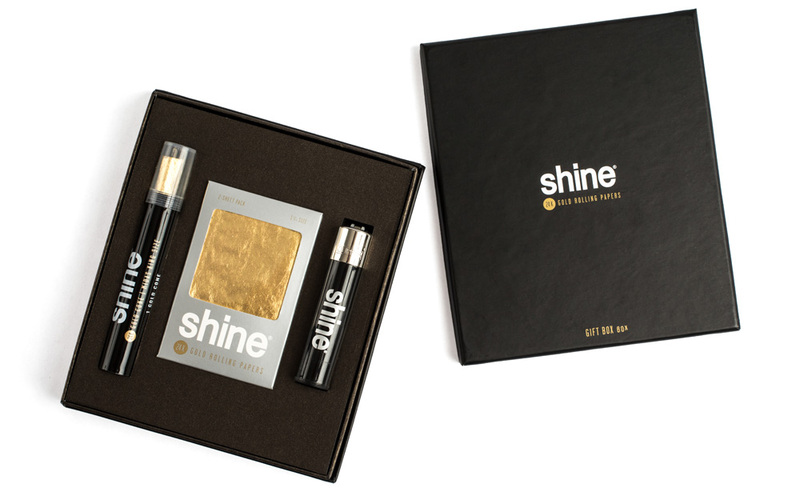 A Cannabist Gift Guide mainstay for a reason, Shine Papers are the perfect holiday party trick, hostess gift, or just a way to add a little shimmer to your own sessions this season. This special-edition gift box includes a pack of the signature 24K gold rolling papers made with a hemp blend base for the smoothest burn, a king-size 24k gold cone, and a branded Clipper lighter. You’ll want to show off this stash box that’s as beautiful as it is effective. 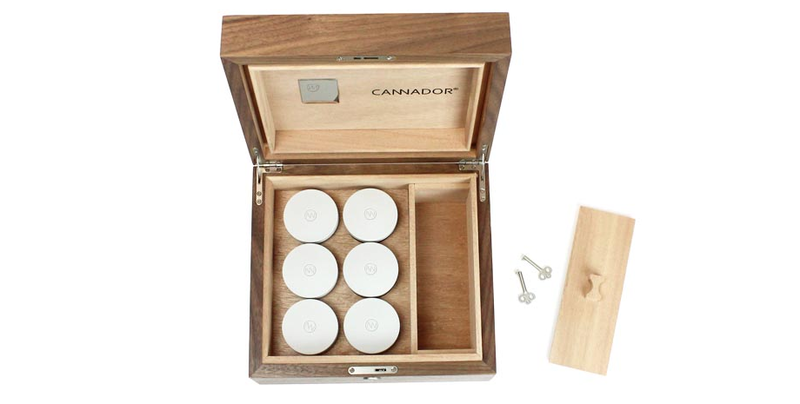 The Cannador’s airtight design controls humidity at the perfect ratio for optimal freshness and taste while also protecting flower from damaging UV light. For the true connoisseur, go for the 6-strain size to store up to 1.5 ounces with an under-lid nook to store accessories — all under lock and key. Available in cherry or walnut veneer with a mahogany lining. Two words: wearable pipe. 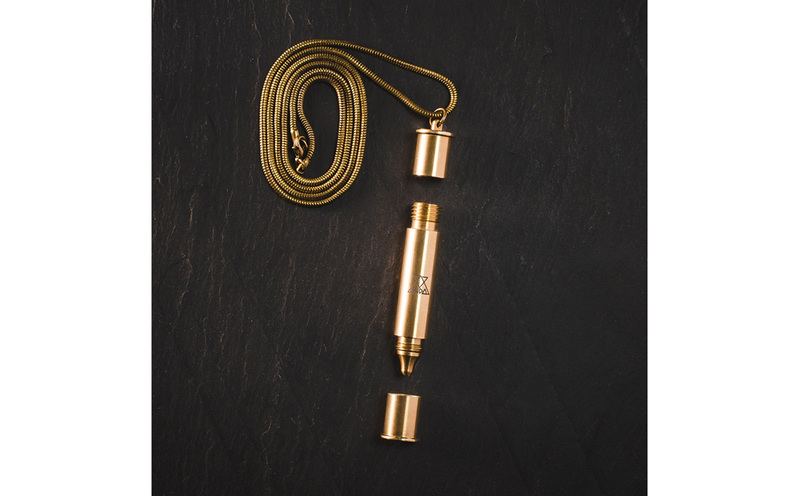 Made by INDA in a limited-edition run of 200 pieces exclusively for boutique retailer Tokyo Smoke, this brass bauble will take your smoking style higher. 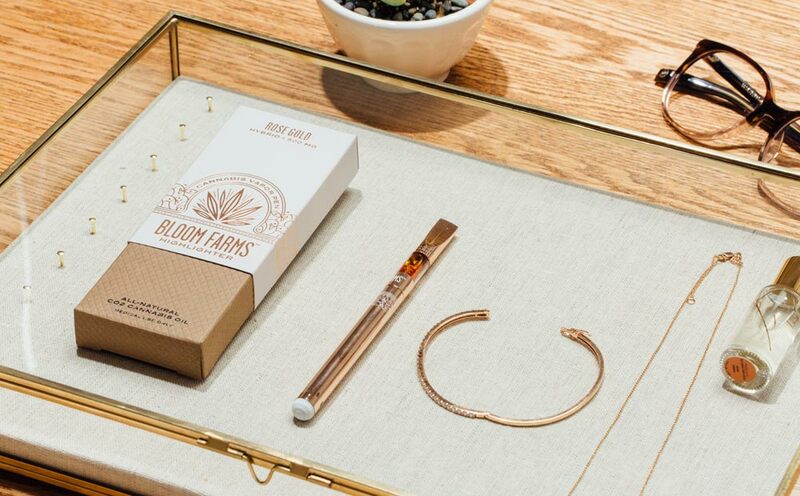 As a one-for-one company that pledges a healthy meal to someone in need with every product sold, there’s no better time to give the gorgeous gift of Bloom Farms’ rose gold edition highlighter vape pen. Now with a redesigned battery, it’s pre-loaded with 500mg of its “Anytime” hybrid blend — crafted from pure cannabis oil that’s free of petroleum-based solvents — sure to inspire relaxation, creativity and focus. 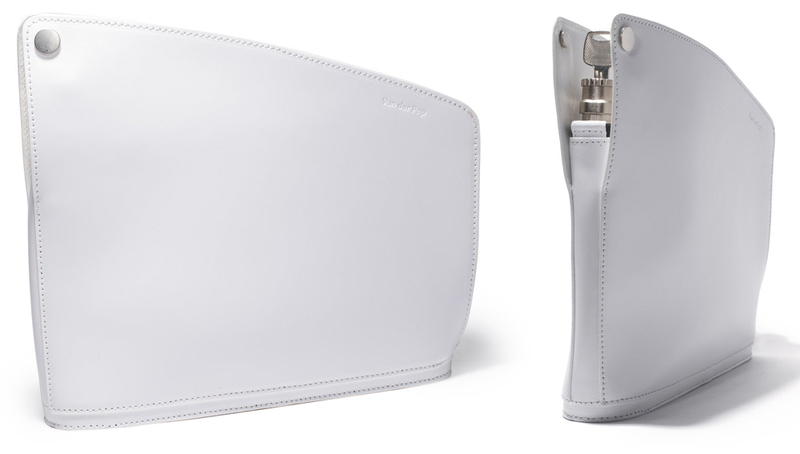 More designer purse than stash bag, this might just be the most killer clutch we’ve ever seen–regardless of whether we’re putting cannabis in it or not. Named in honor of Ms. Mary Poppins and her “bag of treats to help the medicine go down,” the Italian-made leather pouch is fashioned with a 3-digit and keyed lock with an odor-proof and waterproof zipper. The inside is faux — and purposefully so to keep it safe from oil leaks and shake. Available in black, blue, white, or camel (we’ll take one of each, TBH). 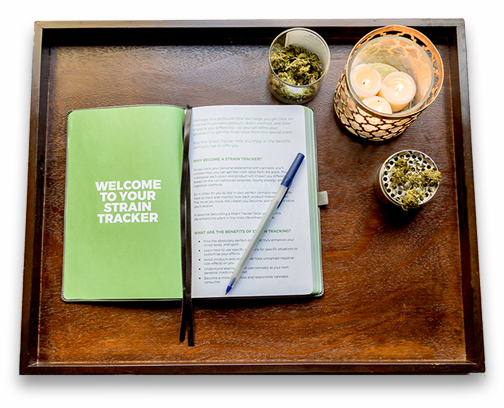 Trying to navigate the seemingly endless world of strains on the market is a daunting task. Keep tabs on everything you try in this moleskin-like journal, which is organized by method and effect so you can quickly determine what works best for a specific condition, accurate dose amounts, or to help avoid an unpleasant experience in the future. Plus, if getting high gets your creative juices flowing, there’s an ample notes section in the back.